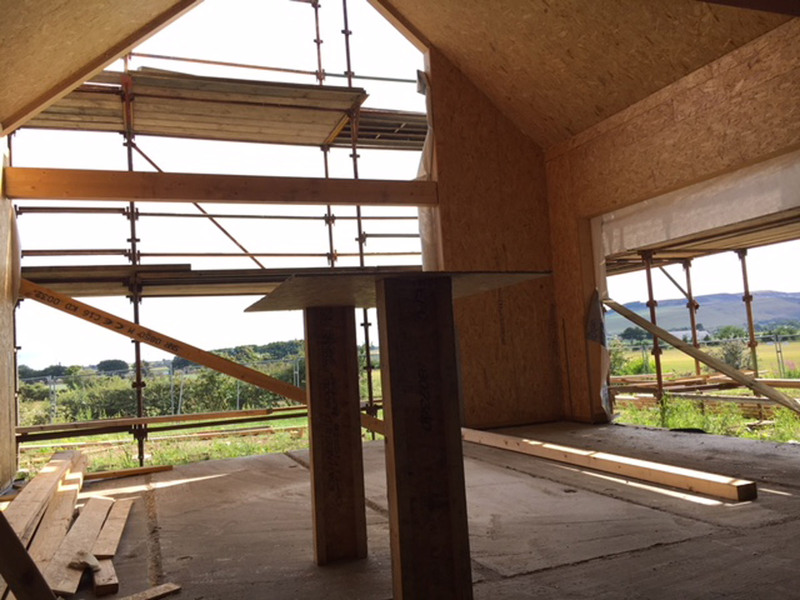 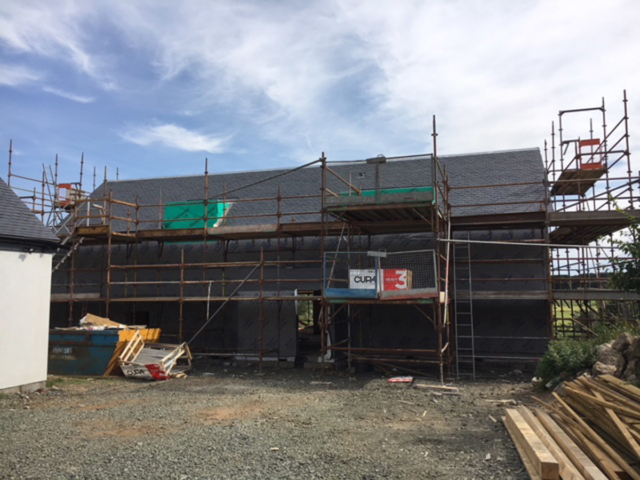 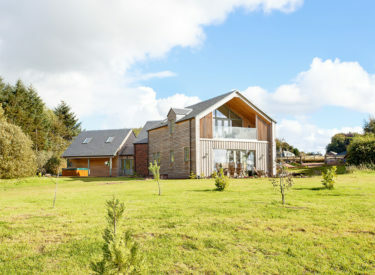 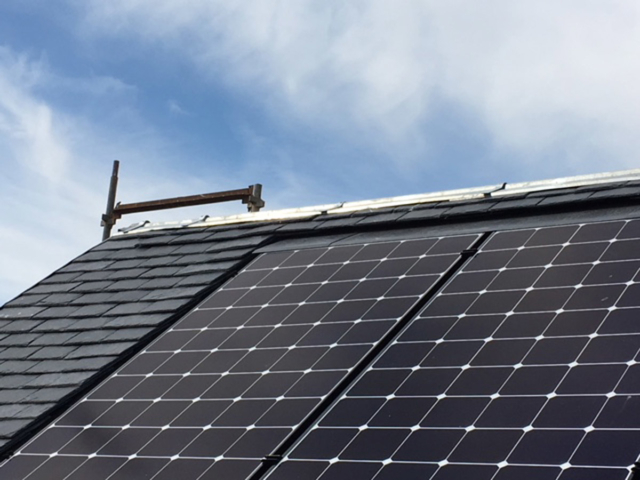 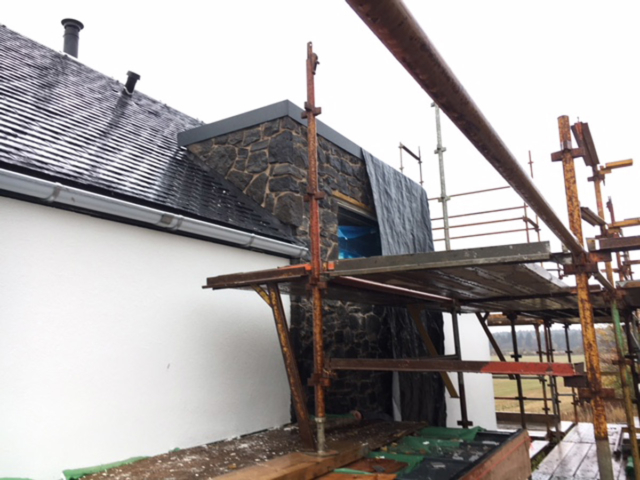 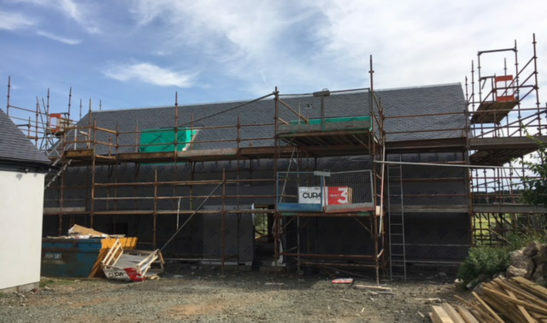 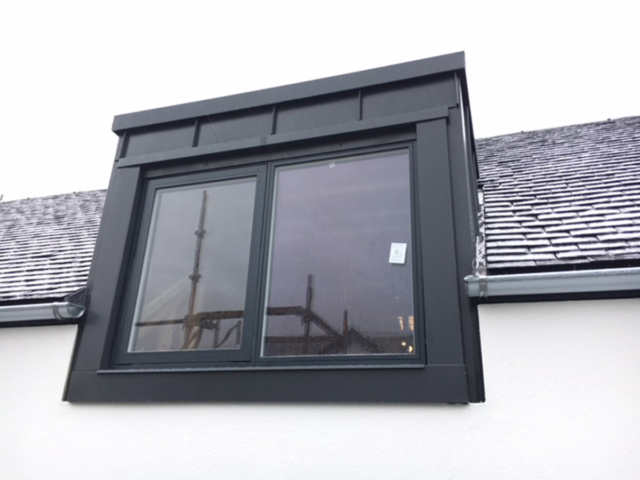 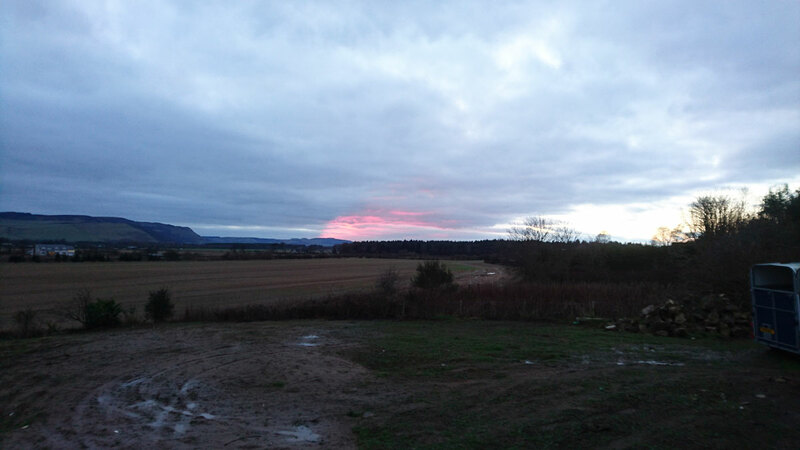 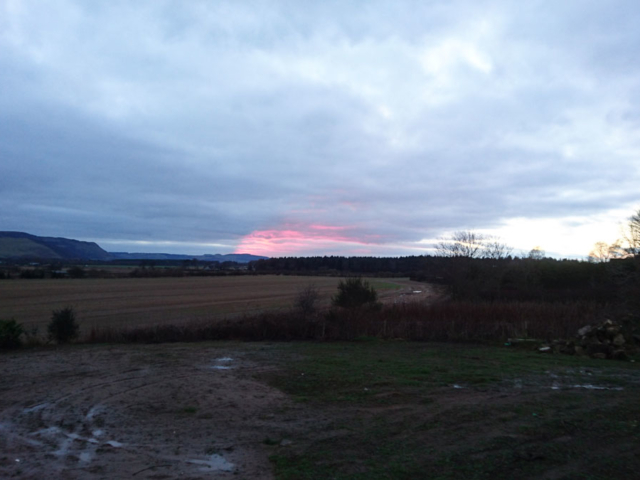 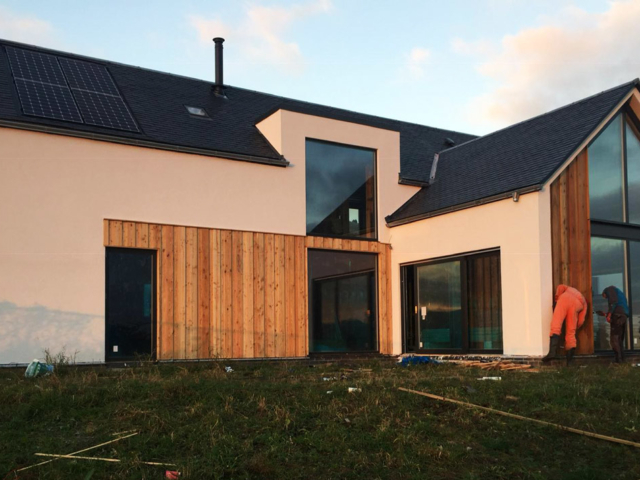 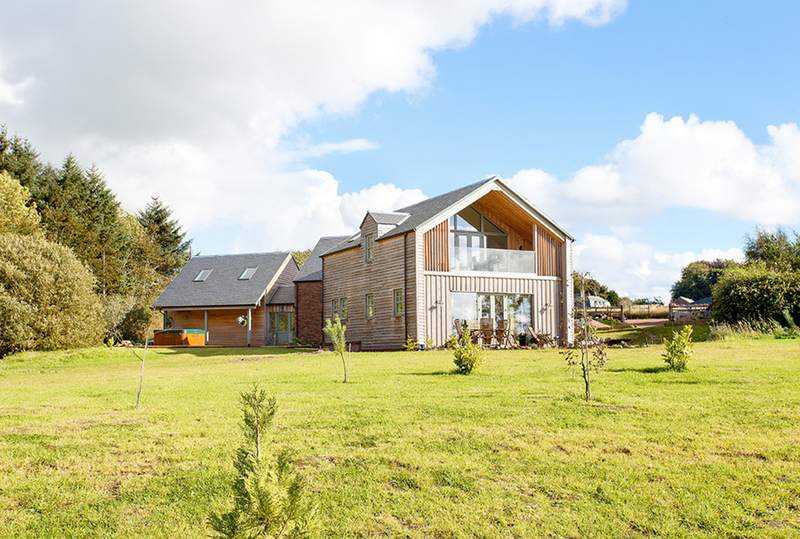 In 2016 ACA were appointed to design an energy efficient home for a professional couple in a picturesque village of Scotlandwell in Perth and Kinross, Scotland. 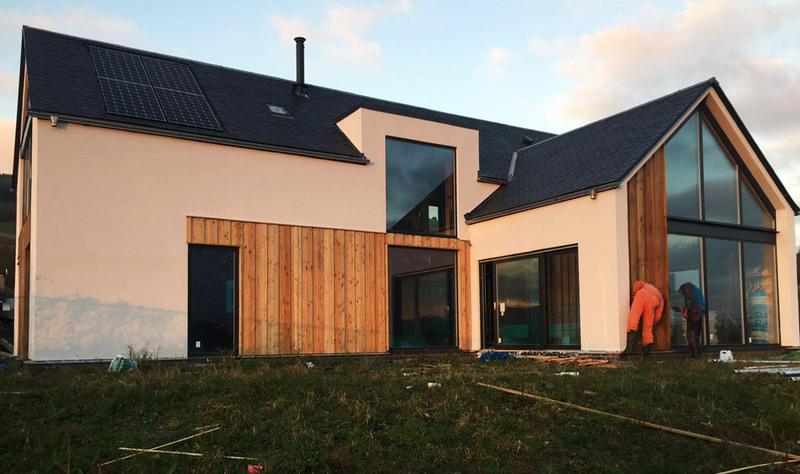 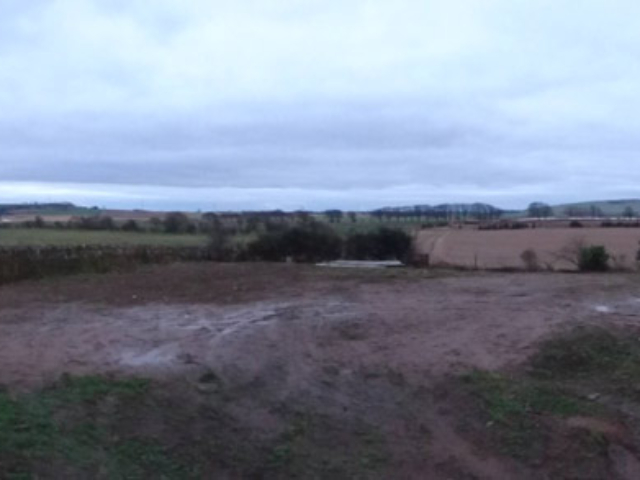 The site located at the edge of the village afforded extensive countryside views, and this together with solar thermal performance, influenced the orientation of the house on the site. 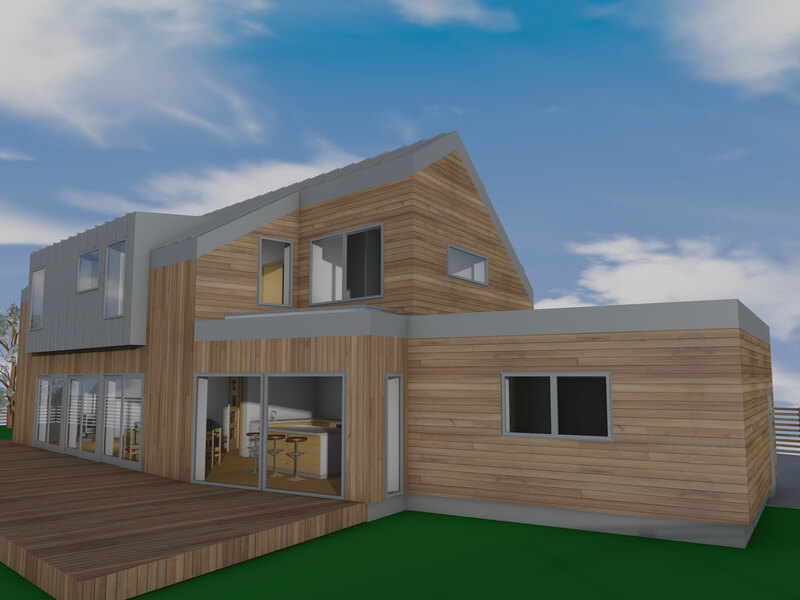 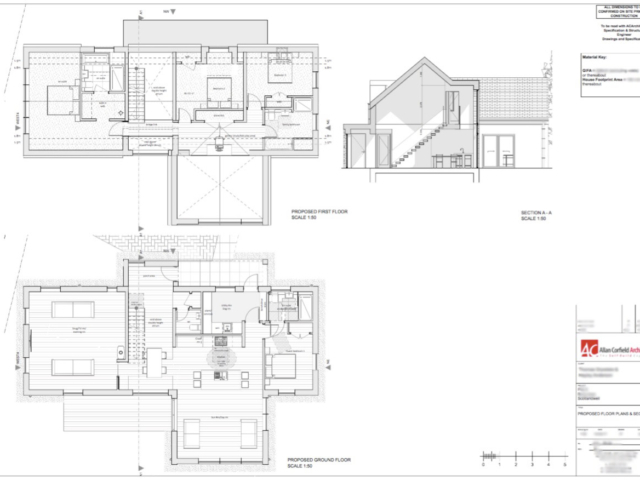 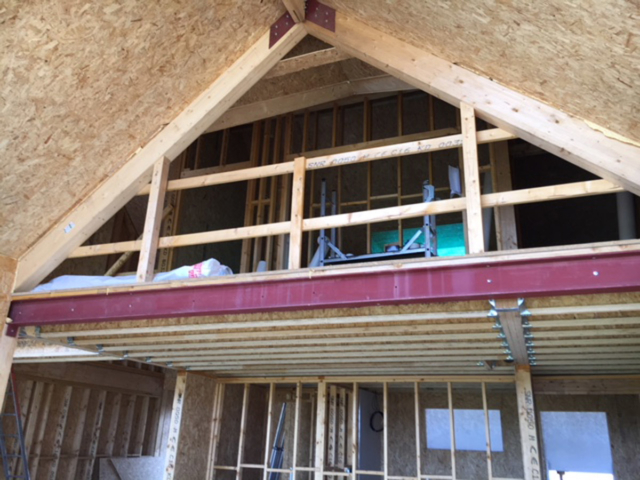 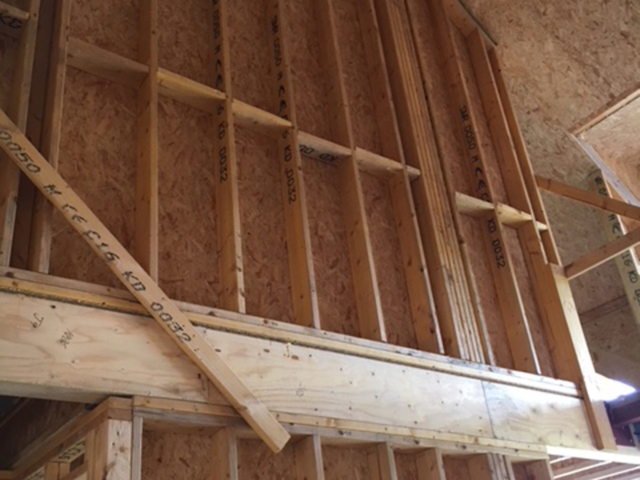 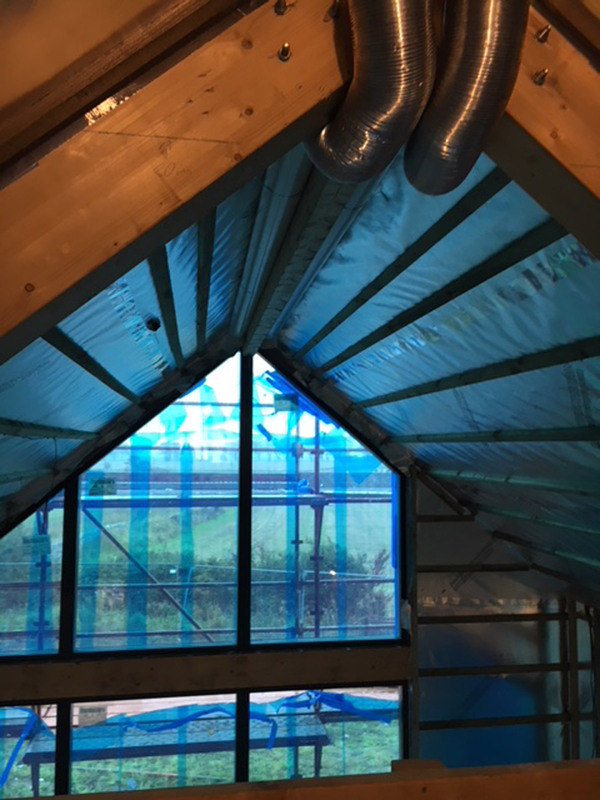 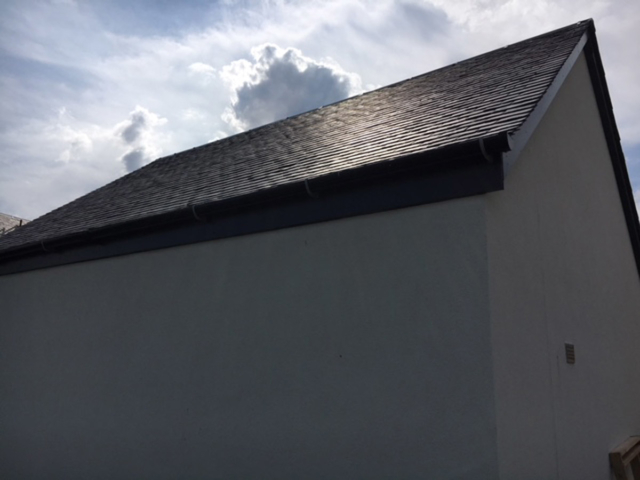 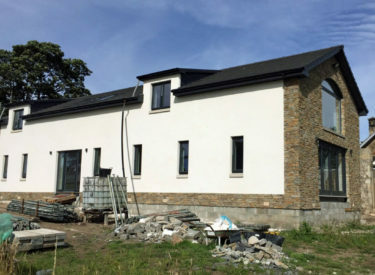 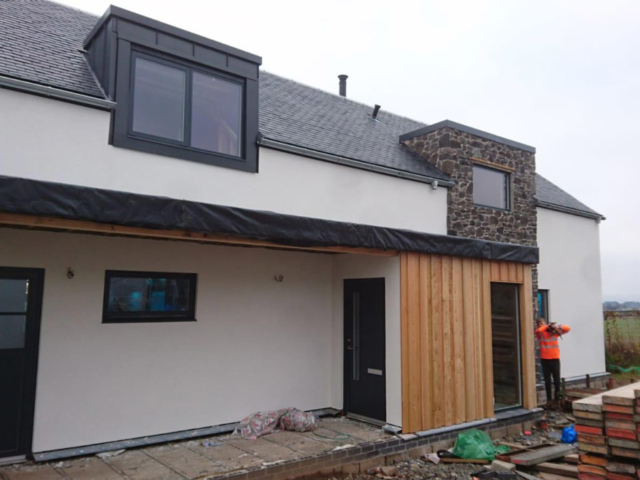 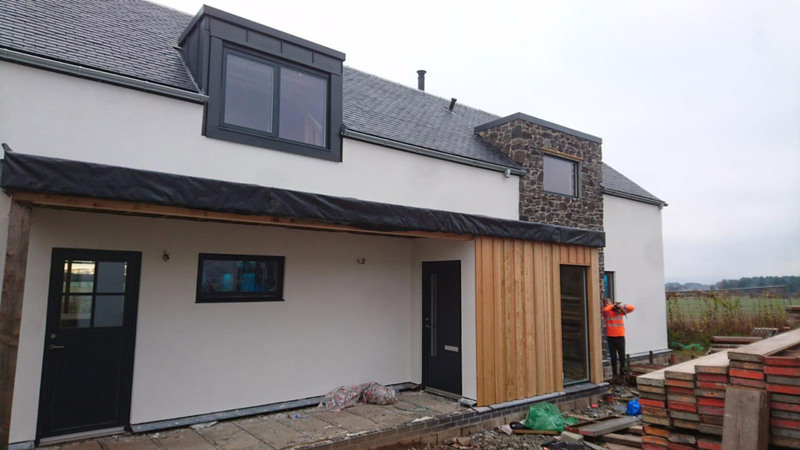 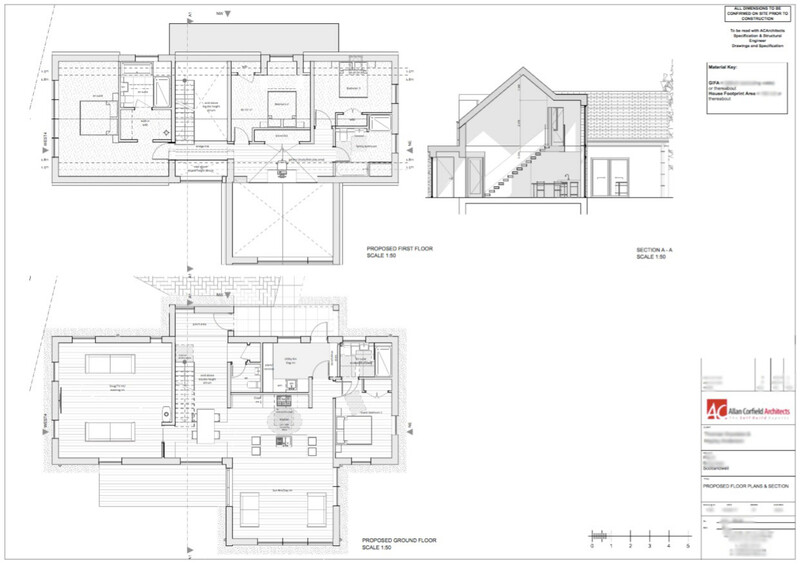 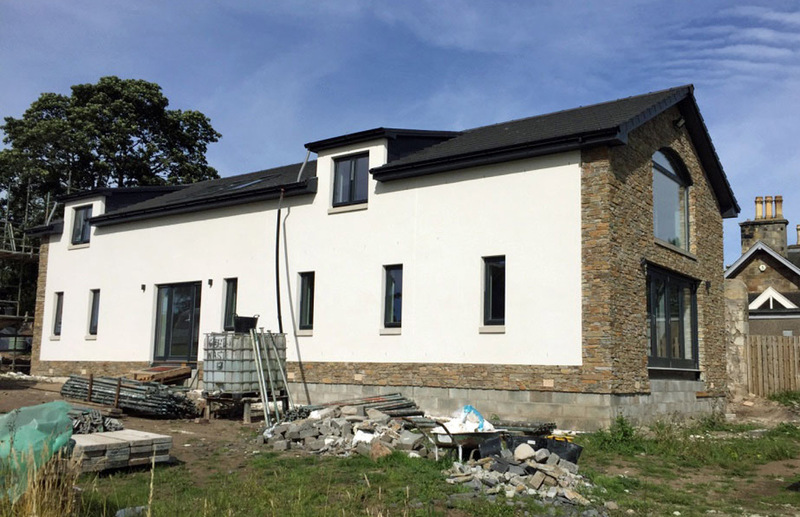 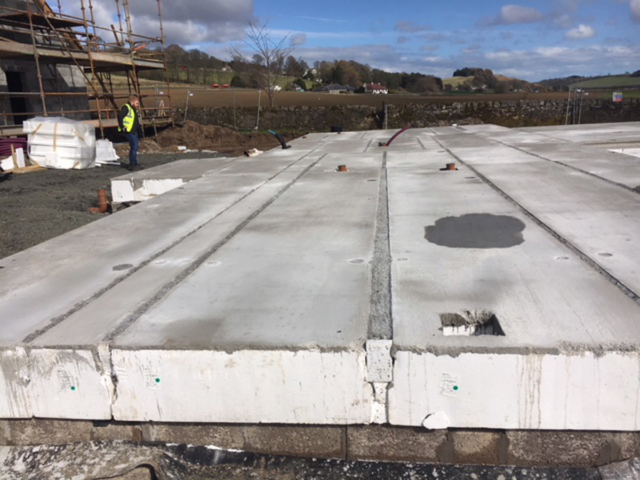 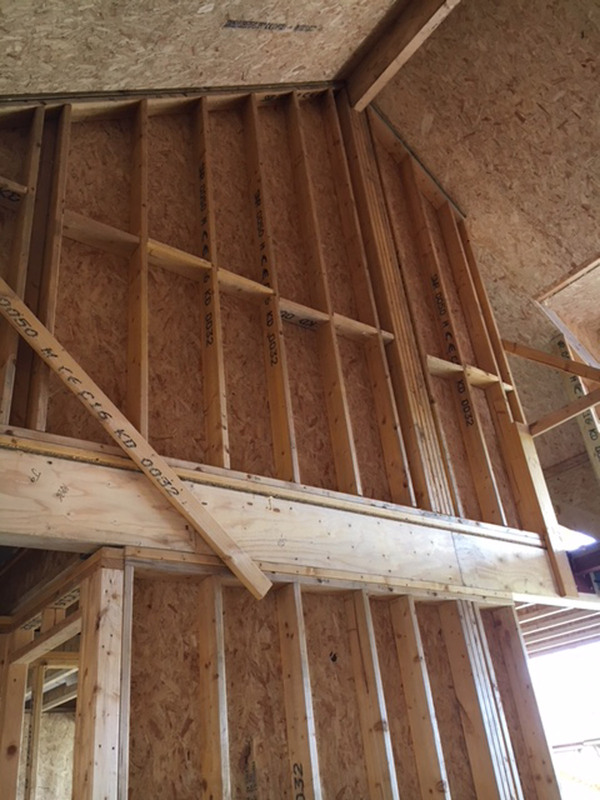 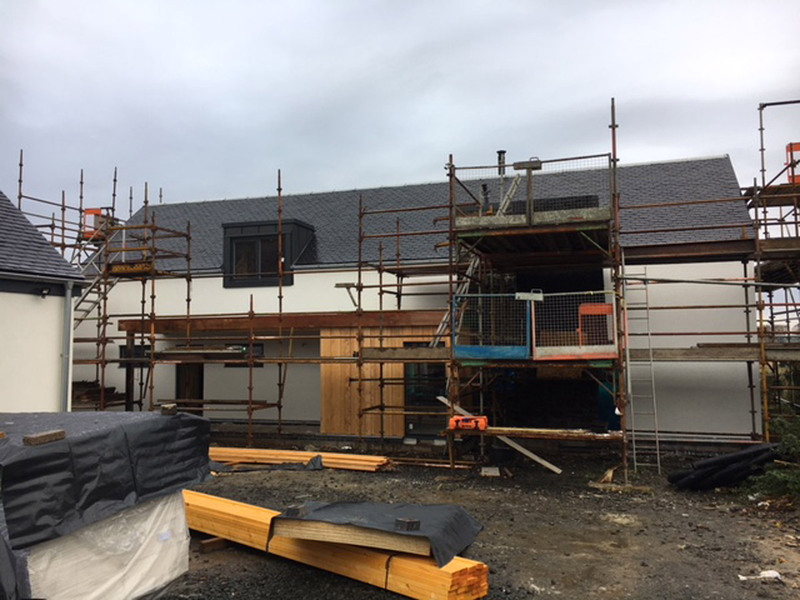 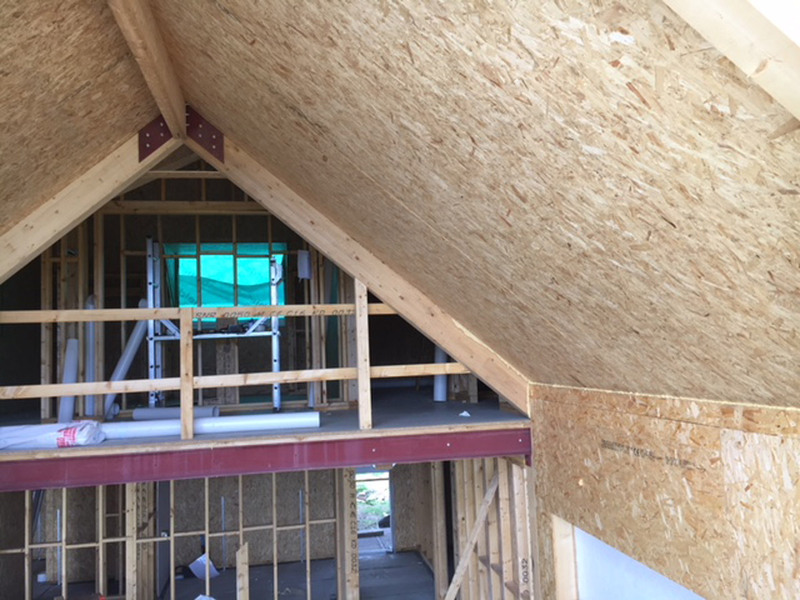 ACA’s brief was to design a 1½ storey, 4 bedroom house almost to Passivhaus standards, which, once the main structure was erected could be finished by the clients. 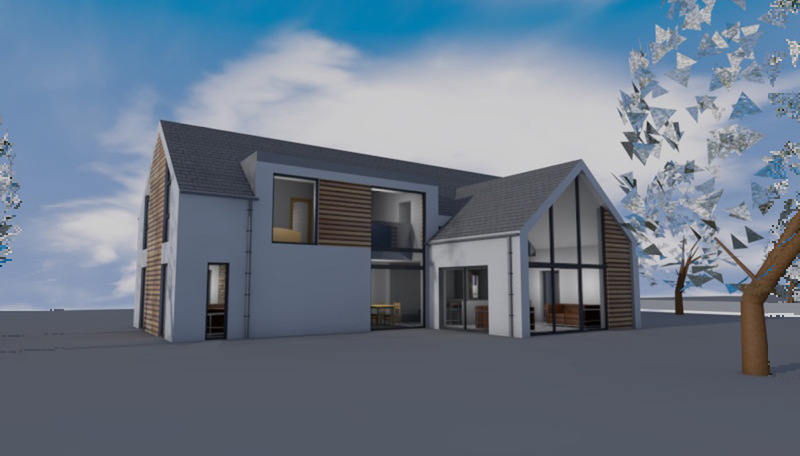 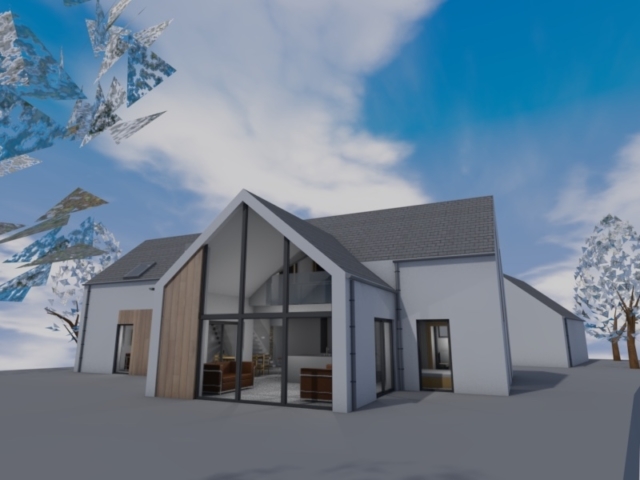 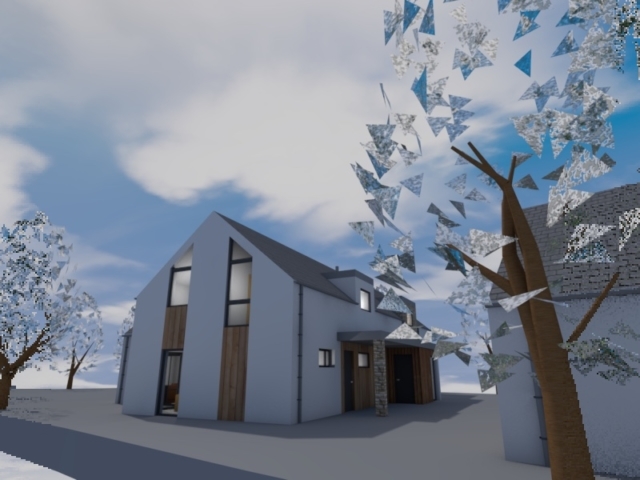 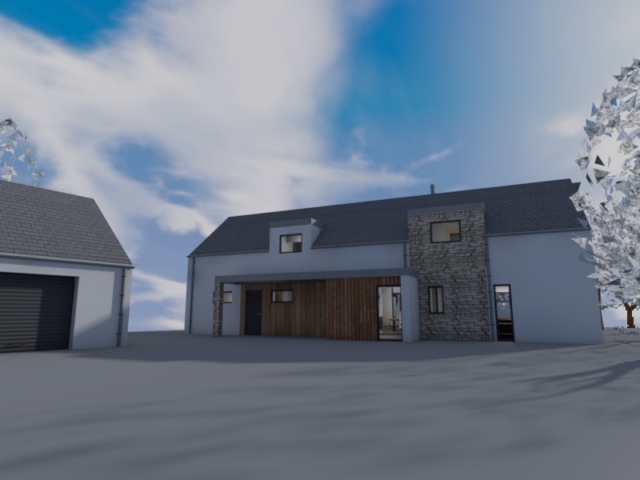 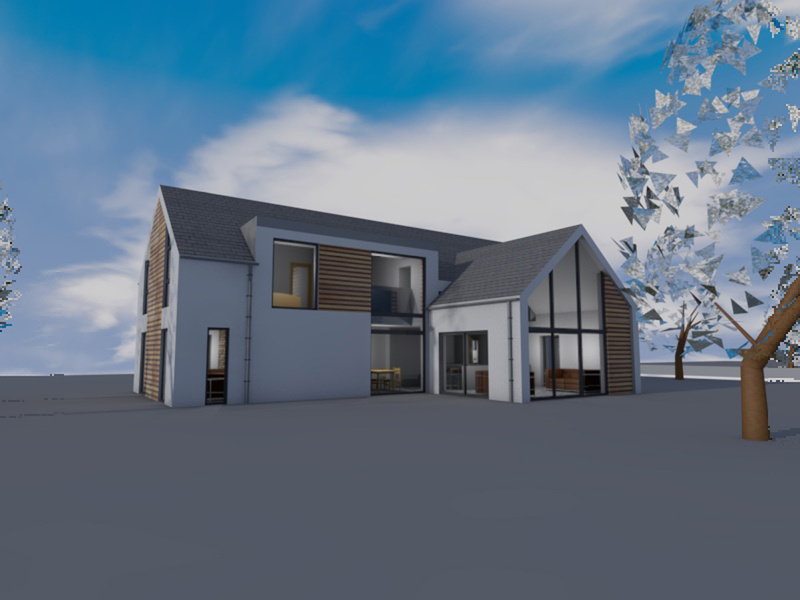 The house design is a contemporary interpretation of traditional houses found in the area with open plan accommodation and vaulted roof spaces. 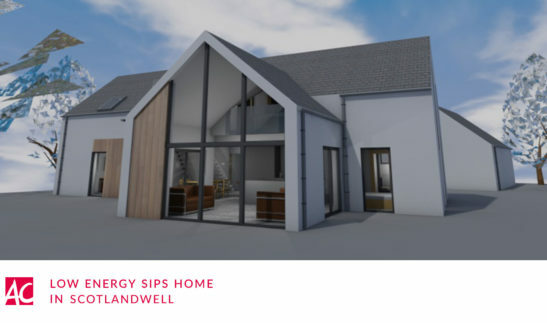 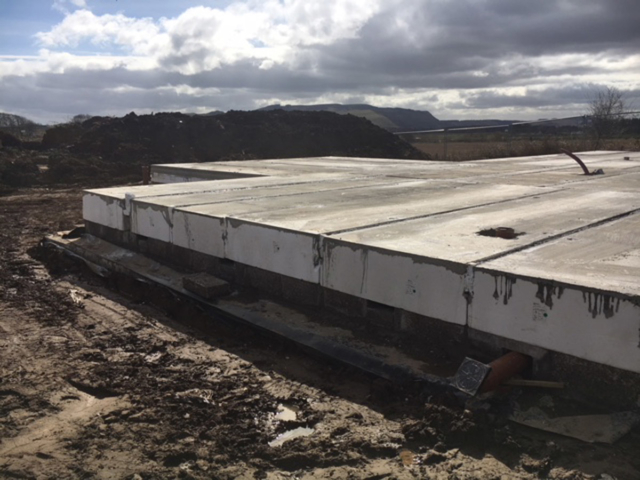 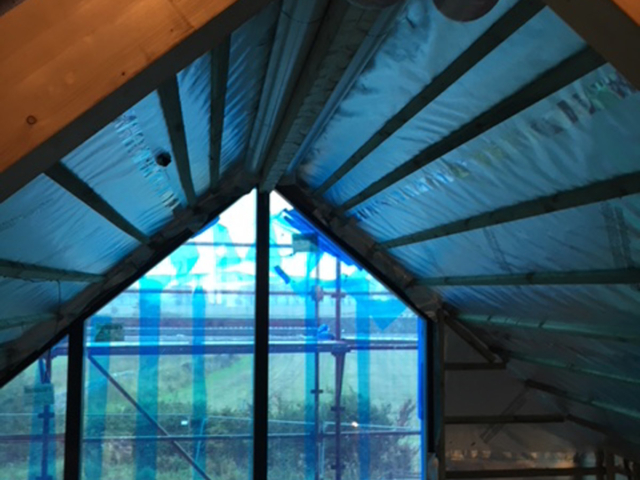 To achieve this, a SIPS construction was selected which also provides a very thermally efficient, airtight shell. 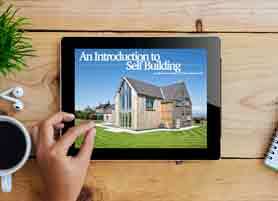 The kit would then be clad externally with smooth render finish, timber cladding and natural stone. 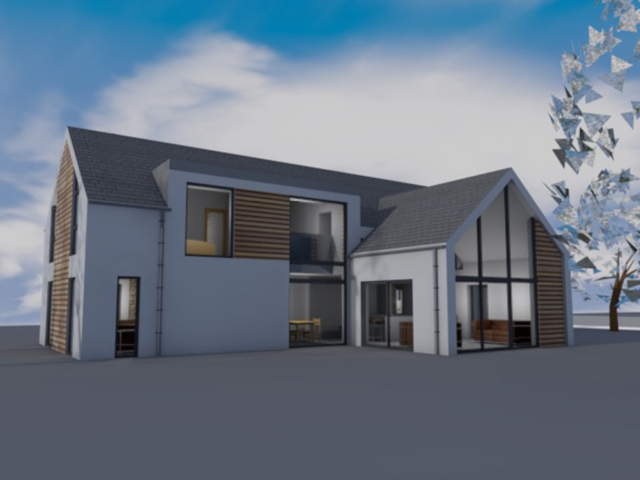 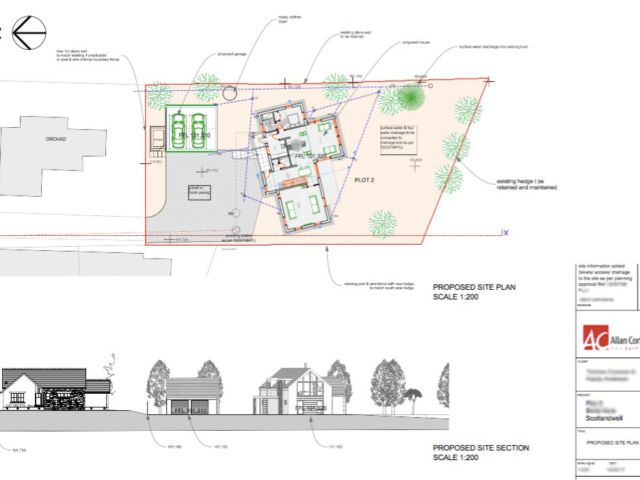 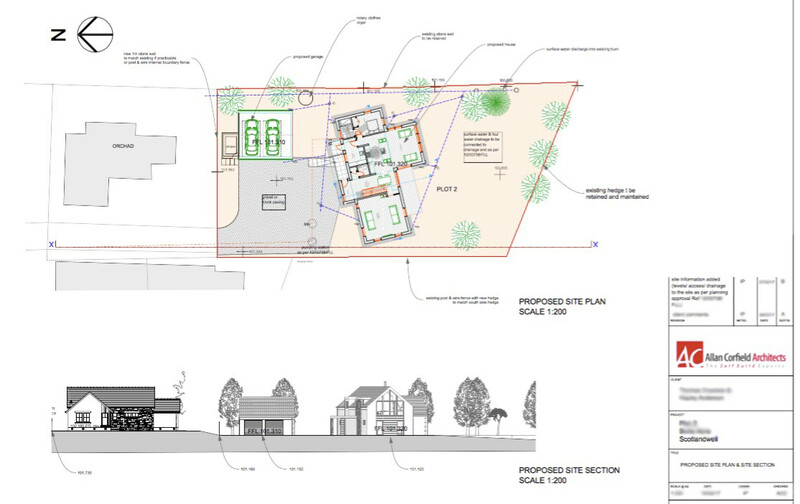 The house received Planning approval in 2017, with ACA currently progressing the technical development with a scheduled completion for end of 2017.